With our Web Booker, you can book jobs directly – from anywhere in the World. 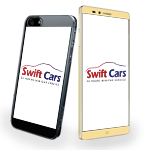 You can get an instant quotation, make a booking and track the progress of your car on a map. Expect 5* Service for the price of your local minicab!